I studied art and graphics at Canterbury College of Art and passed out with a Dip AD Graphics in 1969. Worked in London design studio specialising in corporate design 1970 -73 and as a freelance designer in a studio in Brighton 1973-75. After a period in a design company doing publicity graphics and architectural staircase design,1975 -1980, I returned to graphics as a freelance designer in 1980, based in Lewes, East Sussex. 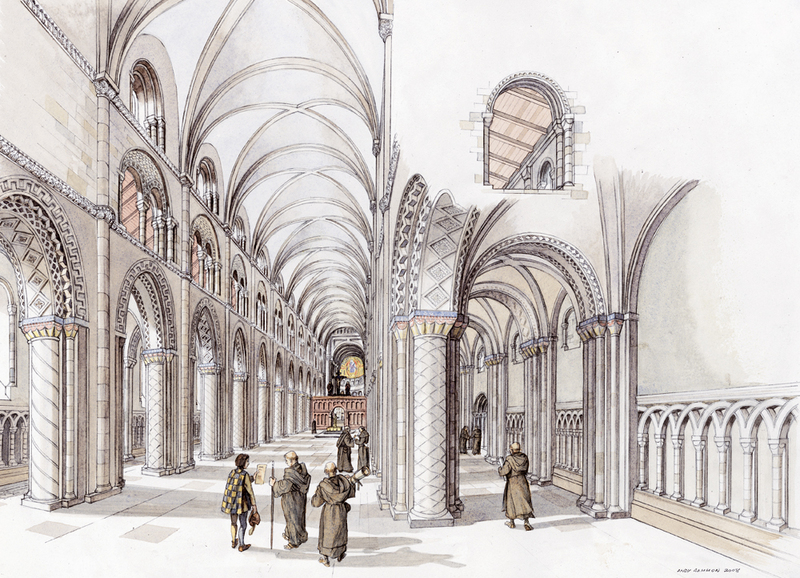 I increasingly found historical illustration work through collaborations with an exhibition design team commissioned to interpret historical buildings for English Heritage such as Bolsover Castle, Audley End Kitchen Garden, Carisbrooke Castle, Kenilworth Castle, Red House Cone Glass Works, Dudley. Also for museum displays for two islands in the West Indies for a Dutch excavation team producing a series of reconstructions to interpret the remains of a plantation slave village and early settlement and in England the remains of the Cluniac Priory of St Pancras in Lewes and display panels at The Tudor House Museum, Southampton and Barbican House Museum, Lewes. 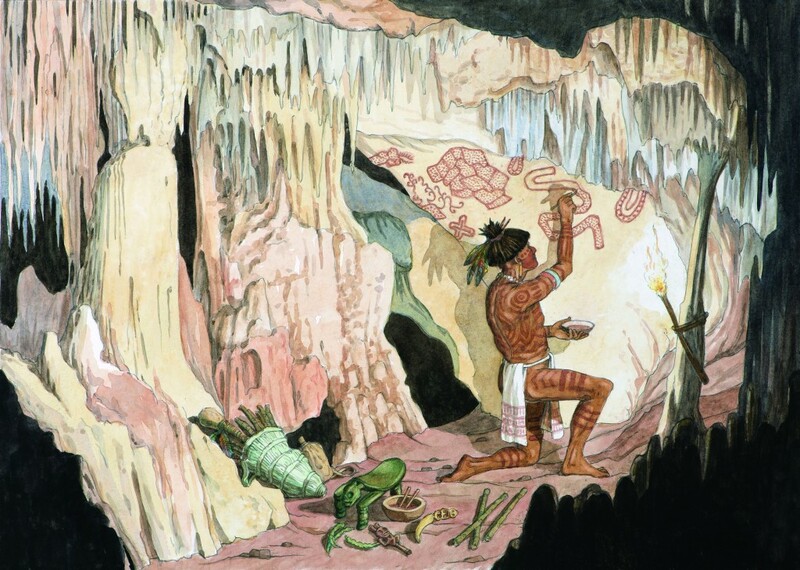 I work closely with archaeologists and historians in this country and abroad to prepare reconstructions of their sites from their plans and reports to help explain and interpret the excavation site and its history. Also to prepare publications and book design if required. 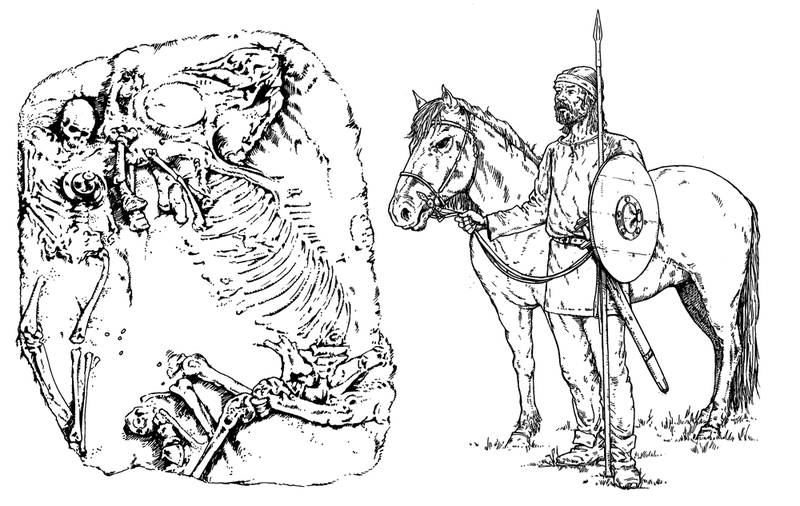 I am familiar with field work and site planning and as a mature student I qualified with a Diploma in Archaeology from the CCE department at the University of Sussex. 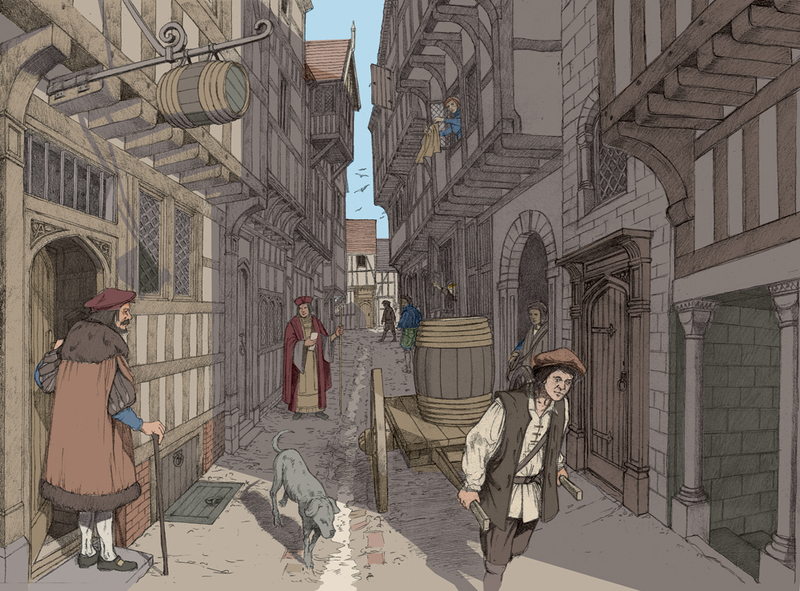 This experience has helped to inform my illustration work and my understanding of the issues surrounding historic sites making me able to relay the relevant information to the broader public through illustrative and graphic media. 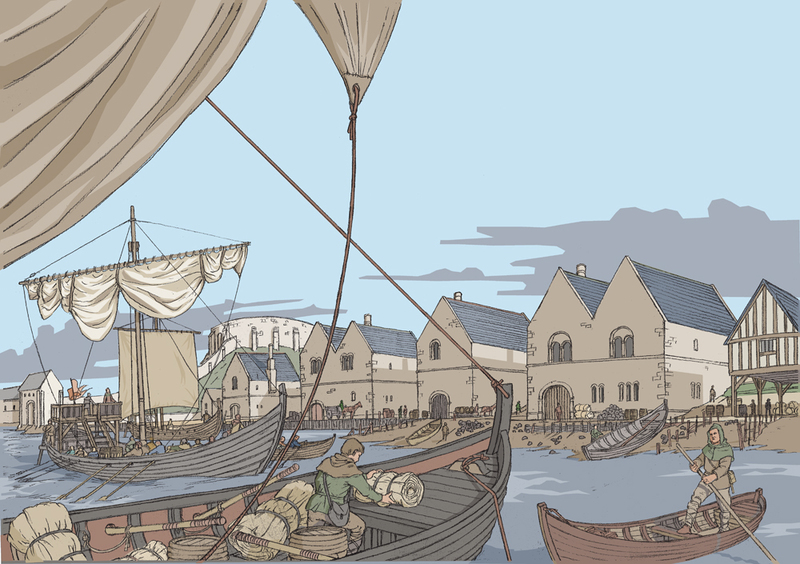 West Quay c1180, Tudor House Musem, Southampton. 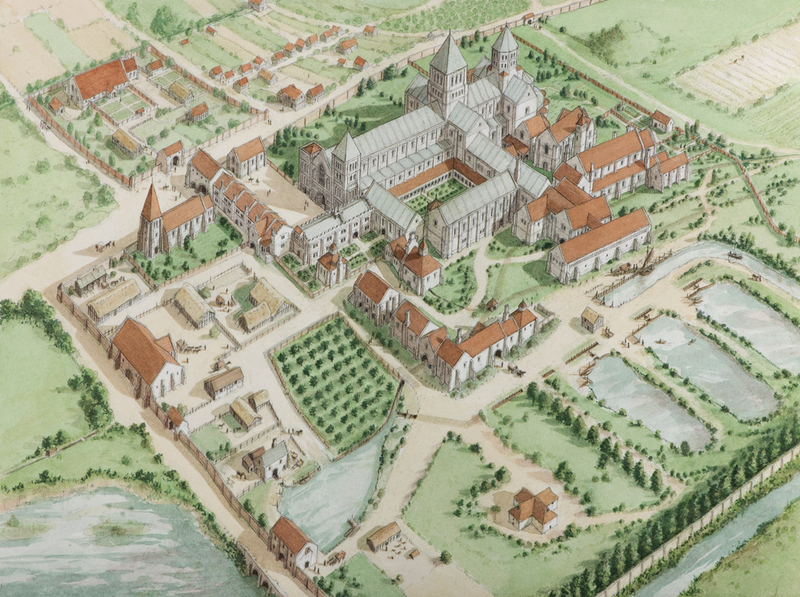 St Pancras Priory interpretation project, Lewes, aerial reconstruction c1530. 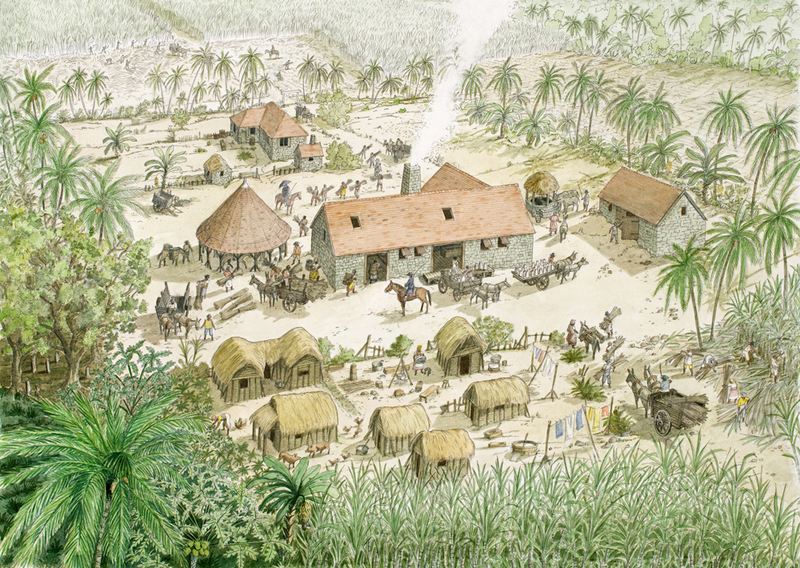 St Eustatius excavations 2012, Dutch West Indies, slave village and plantation c1780. 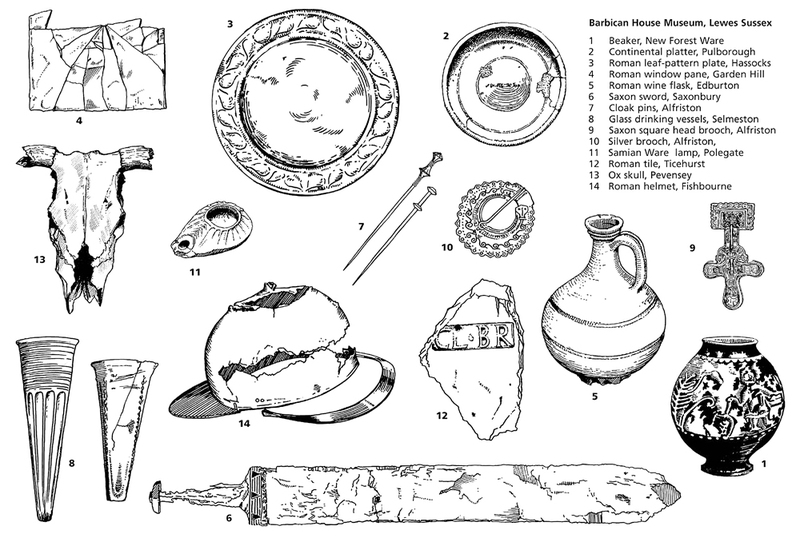 Roman Artefacts for Wall Map, Barbican House Lewes. Pepper Alley c1525, Tudor House Museum, Southampton. 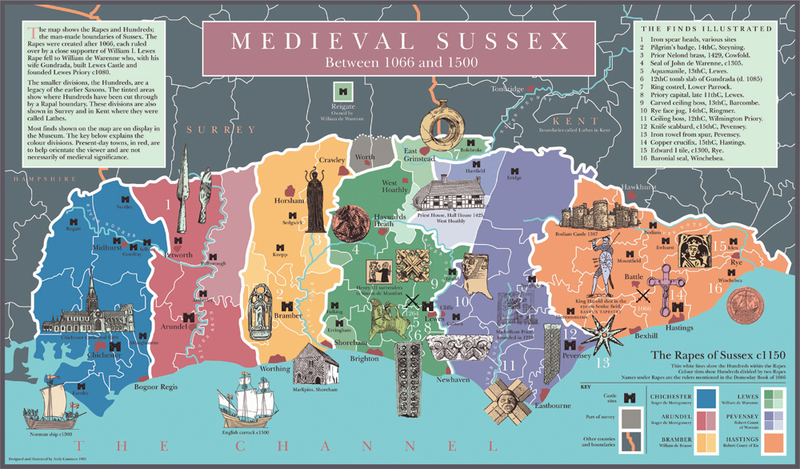 Medieval Sussex, Wall map with rapal boundries and artefact locations, Barbican House Lewes. 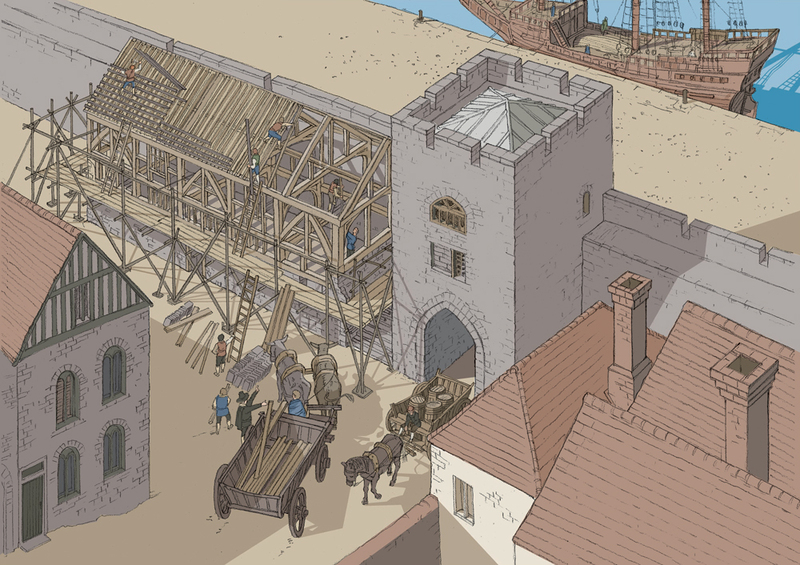 Market Hall rebuild c1650, Tudor House Museum, Southampton. 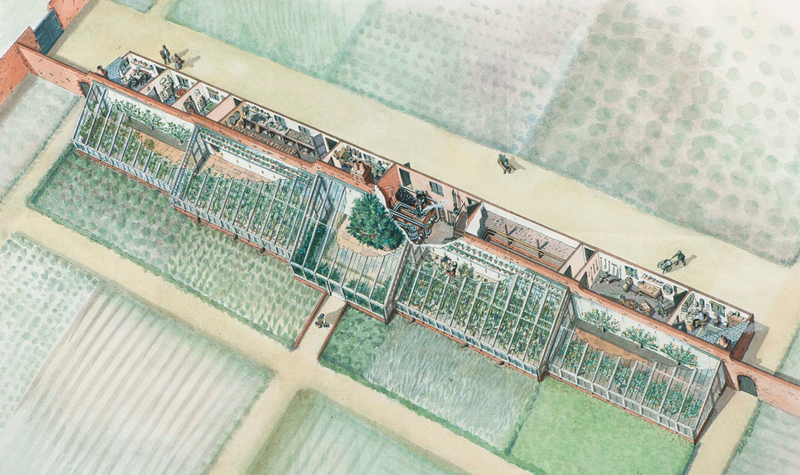 Audley End Kitchen Garden-Vine House c1870, interpretation panel cut away reconstruction.